It's time for the New Product Launch! All the Stamps, Die-namics, and Stencils can be found HERE. 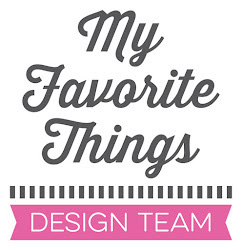 Please remember to visit each of the MFT Designers' November New Product Launch posts on the MFT Blog and leave a comment by the end of the day on Thursday, November 13 for your chance to WIN one of two, $100 Gift Vouchers. The winners will be chosen at random and all the prizes will be sent out on October 14. Ready? Set. Comment! I have four cards to share with you today, each one was inspired by one of the sketches in the Blueprints 20 Sketches PDF. 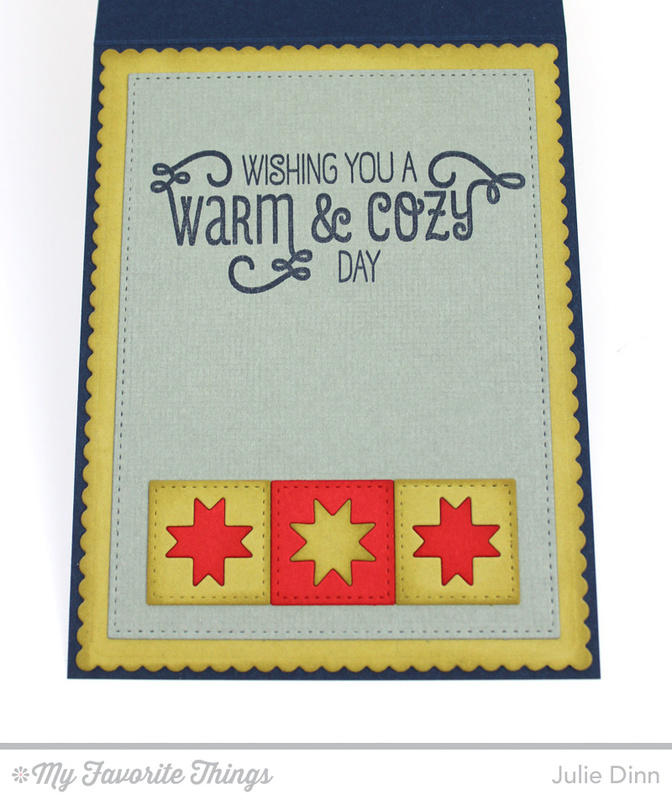 The Blueprints 20 Die-namics is filled with all sorts of fun stitched pieces. It was so much fun to work with. I paired this set with Factory Green, Nightshift Blue, Red Hot, and Steel Blue card stock. The Steel Blue panels of card stock were all stamped with the Linen Background stamp. Each piece of the quilt was sponged with the coordinating ink to give it a little extra cozy feel. The Steel Blue card stock was sponged with Grout Grey ink as the Steel Blue ink looked a little too dark. On the inside of the card, I stamped a sentiment from the Cozy Greetings stamp set. Changing the Red Hot scalloped piece of card stock to Factory Green really changes the look of this second card. 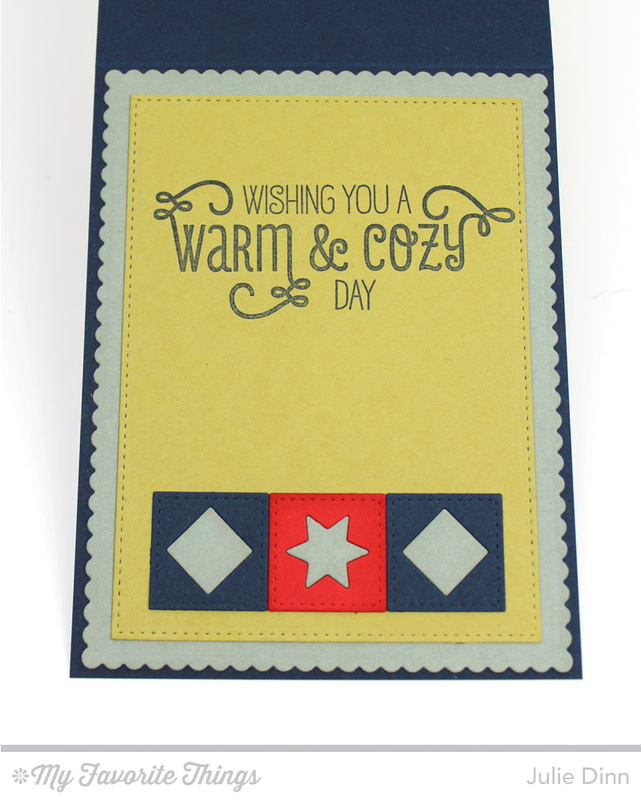 The Blueprints 20 Die-namics includes a couple of dies that replicate stitching patterns. On this card you can see the cross stitch one. It's a great little die that adds lots of interest to your cards. I die-cut the cross stitch on the Steel Blue card stock and on a piece of Red Hot card stock. I used the negative space on the Steel Blue card stock as a base for the small Red Hot x's. 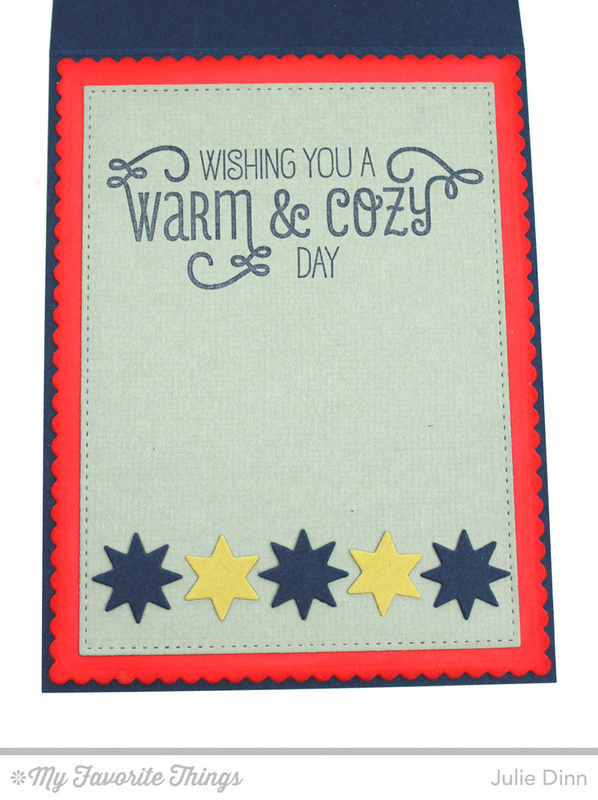 The Cozy Greetings stamp set works so well with the Blueprints 20 Die-namics. I love that this set can be used for so many different occasions. 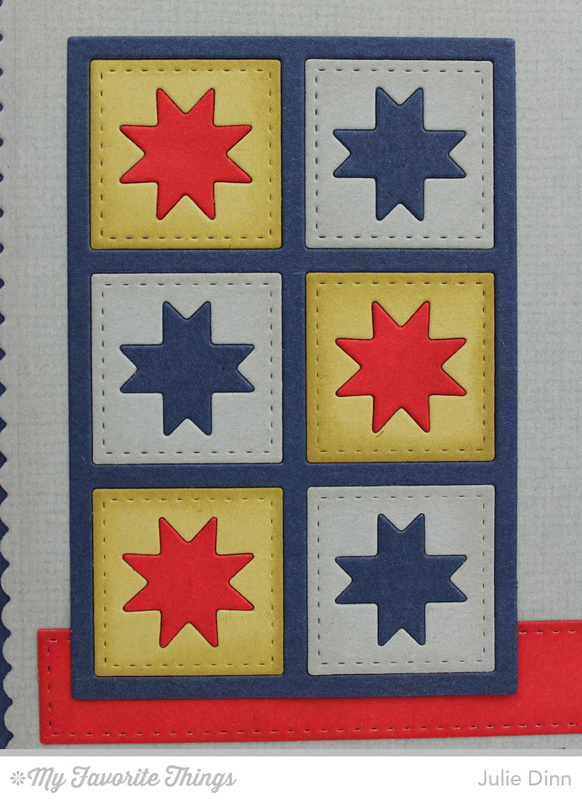 The quilt pieces I used on this third card remind me of traditional quilt patterns. These pieces come together so quickly to create a fabulous pattern. 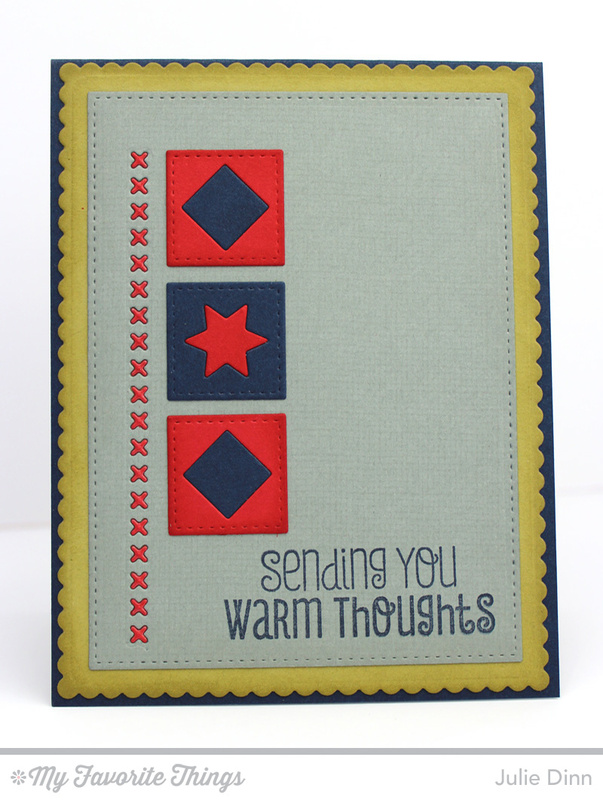 My final card uses the plain stitched squares from the Blueprints 20 Die-namics. I finished the inside of the card with a few hearts and another sentiment from the Cozy Greetings stamp set. Thank you all for joining me for the November MFT Release. I hope you have enjoyed seeing my creations as much as I have enjoyed making them. Don't forget to comment for your chance to win one of the gift certificates. These are just adorable!!! LOVE the quilt effect!!!! Super Cute use of the new dies! Awesome!! Love the fun colors!! Great set of cards, Julie! I am starting to feel guilty as I have quilt squares cut out for months now, and that is about it. I am in need of more hours. What fun patterns and colors. Love all your sweet quilted cards! This set is definitely going on my wish list. Great collection of cards. Such a wonderful showcase of the versatility of this new blueprints set. Amazing ideas for this Blueprints! That stitched X edge in red is just WOW! I have a couple of quilter friends that would just die over these cuties. I thought I would love the Blueprints 20 but now I am sure of it. I must order the "Cozy Up" as well. Thanks for a great job. I love this quilt die. It's awesome. You did a fabulous job with it. I especially love your inlay work. Wonderful. So cute! Love all the blueprints dies and how they make a card come together so quickly. Great color combo on all the cards. You cards are just beautiful. I love all of them. Beautiful set of quilt cards with so many different sentiments. Love them. Great job and great inspiration. I absolutely love this set of cards. The color combo is so pretty. Beautiful Cards! Love the color combination. Great inspiration for the blueprint 20 die-namics. Super cute and colorful- love the clean, crisp look. These are great! Very interesting color combination. Those are simply fabulous. I love the color combinations. I love the new Blueprints dies. Your cards are absolutely amazing! There's just something about the added "stitched edge" look that makes me love these dies even more! TFS! Fun, colorful designs. Great inspiration. Cute card creations you have created! Way to go! Fabulous! 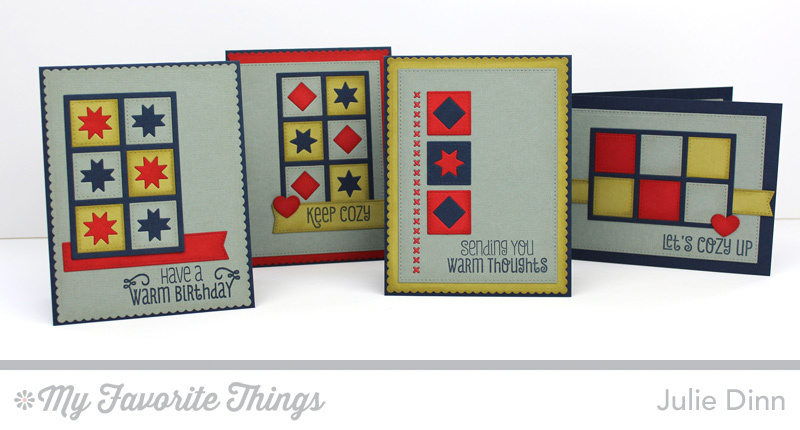 I love the Blue Prints dies and how you mixed it all together looks wonderful! Great cards! Love the quilted look! Wow! 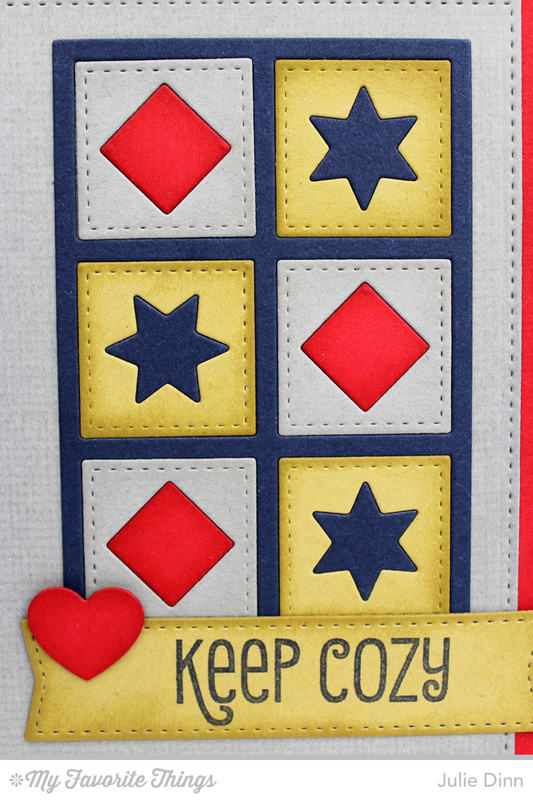 Beautiful set of cards and love the quilted look to each one plus how you continued on the inside. Also, thank-you for a wonderful week of inspiration! What a great coordinated set. Such lovely designs. I love what you've done with the blueprints and can't wait for mine to arrive! Awesome designs with these colors! Can't wait to get this Blueprint! 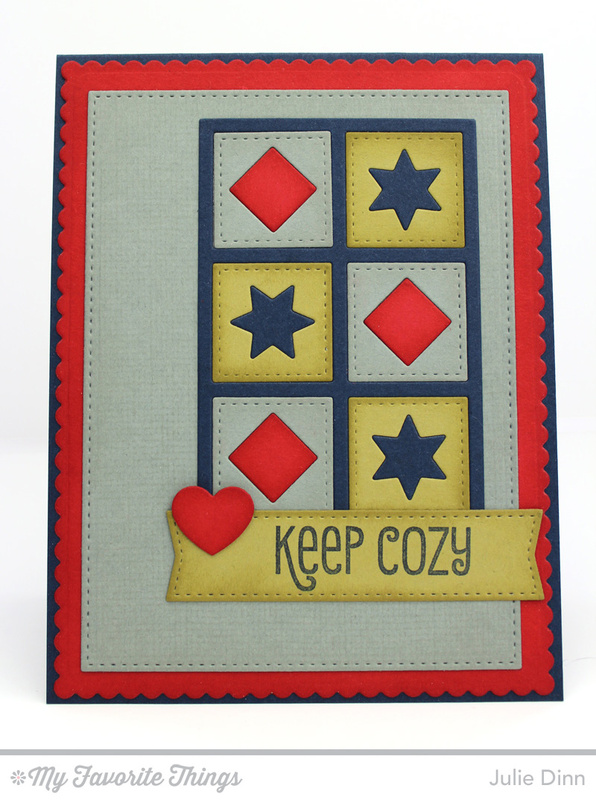 Love your cozy quilt cards. Love the homespun feel to these! The inlaid die-cuts add an interesting dynamic to using the Blueprint! Fabulous designs, love the colors. ABSOLUTELY FABULOUS cards Julie - EACH & EVERY one of them is AWESOME - such STRIKING designs & colors!!! LOVE how you have inked each piece too, it really adds dimension & richness!!! I look forward to using these sketches and dies real soon => THANK YOU for sharing your CREATIVE INSPIRATION!!! What cozy cards! 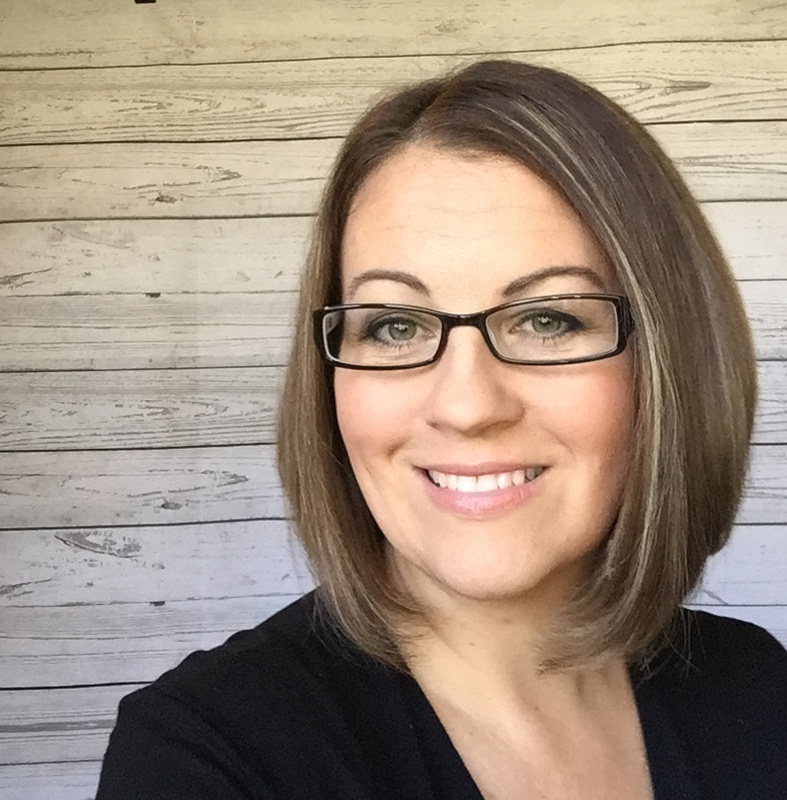 Love the color combo and how you used Blueprints 20! Blueprints 20 is top of my wish list. Such a versatile set. Thanks for the inspiration. Beautiful cards! Love the colors and the layouts. Anyone would be thrilled to receive cards like these. Nicely done! I love your last card sentiment (Let's cozy up!) That is an adorable card!! I love the new quilting patterns and your cards are just beautiful! Can't wait to use the new dies. Great job!! LOVE the Blueprints die, all the stitching and cross stitching is fab~! This quilted look is so pretty! Beautiful job! 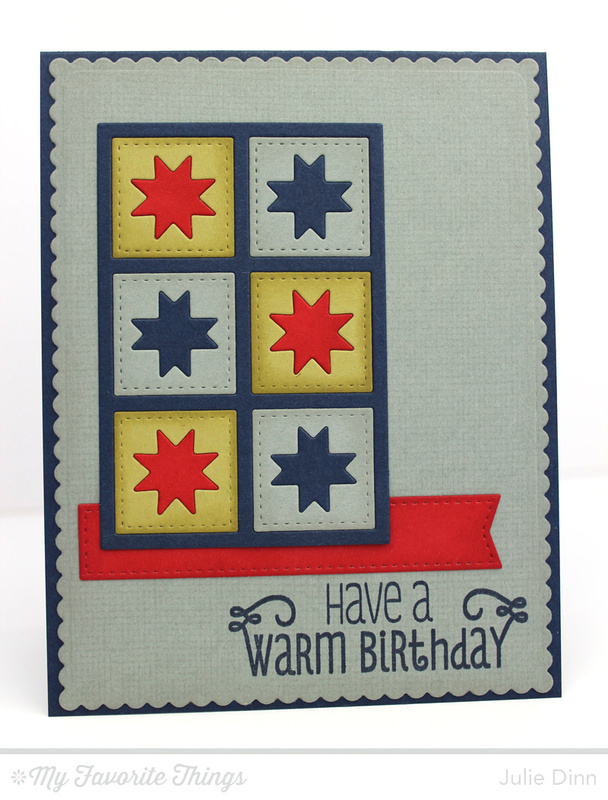 I especially love your birthday quilt card, and how you added depth by shading the edges!